For cleaning floors in small, awkward or cluttered areas, service providers use small, compact and manoeuvrable scrubber driers. Until now, preference has been given to machines with lead batteries. However, the use of models with lithium-ion batteries for scrubber driers is firmly established as the powerful cleaning action of these machines allows efficient working and more frequent use due to short battery charging times. 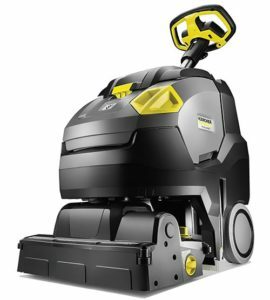 Compared to conventional lead batteries, lithium-ion technology reduces the weight of cordless scrubber driers. Compact, market-leading machines only weigh about 35kg, making them more efficient to use than other machines: they are easier to transport, store and navigate around obstacles. However, weight is not the only important factor. Some models, depending on the type and requirements, are also very manoeuvrable. A steered brush head can control the travel and cleaning direction, for example, so that cleaning close to edges or in reverse gear is easy. 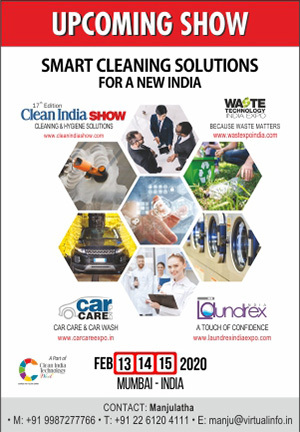 Charging times and user-friendliness For frequent use of battery-powered scrubber driers for daily cleaning tasks, short charging times are important. Compared to lead batteries, lithium-ion batteries can be charged quickly and then used continuously for one and a half hours. Where necessary and feasible, the batteries can be charged during operation. By comparison: so-called fast-charging batteries or special pure lead batteries are fully charged within three to four hours. Conventional lead batteries are fully charged within 8 to 12 hours. Intermediate charging is possible, but reduces the useful life of the batteries over time. This is not the case with lithium-ion batteries. For frequent use of battery-powered scrubber driers for daily cleaning tasks, short charging times are important. Compared to lead batteries, lithium-ion batteries can be charged quickly and then used continuously for one and a half hours. Where necessary and feasible, the batteries can be charged during operation. By comparison: so-called fast-charging batteries or special pure lead batteries are fully charged within three to four hours. Conventional lead batteries are fully charged within 8 to 12 hours. Intermediate charging is possible, but reduces the useful life of the batteries over time. This is not the case with lithium-ion batteries. Battery-powered machines are ideal for use in closed areas as they are much quieter compared to motor-powered models. This applies in particular at a reduced turbine speed, which is fully adequate for numerous cleaning tasks. The latest models with lithium-ion batteries offer an eco-mode. 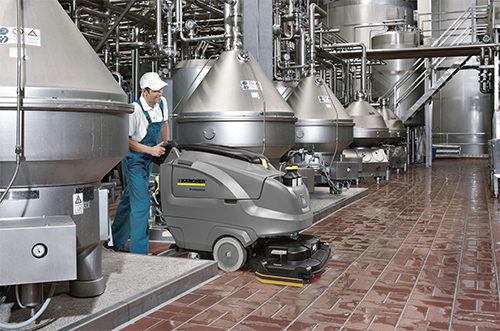 Compared to conventional scrubber driers, they reduce the noise level by about a third to about 62 dB(A). Compared to mains-powered machines, the noise level is reduced by two thirds. Cleaning in noise-sensitive environments, e.g. in hospitals, conference rooms or areas frequented by the public is easily possible. In addition, the battery run time is also increased by about 50% due to the lower energy demand in eco mode. 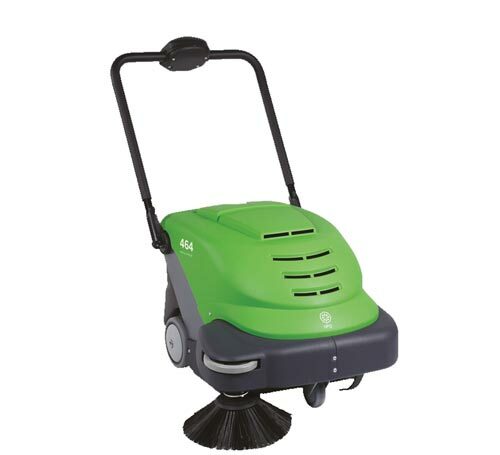 Working radius and convenience Mains-powered machines are generally used for floor cleaning as they are more affordable than battery-powered models. The market ratio is about 20 to 80, the proportion of cordless scrubber driers is increasing. Despite the higher price, the advantages are clear. In particular they offer a larger working radius, obviate the need for a mains supply and time-consuming connection and disconnection. This is an advantage in particular for cleaning in awkward areas, where mains-powered machines cannot operate efficiently. It is frequently the case that no power supply is available at cleaning times, so that a cordless machine is essential. An additional advantage for operators: no disturbing machine or extension cables that pose a tripping hazard. In the development of batterypowered models, manufacturers have more freedom of design compared to mains-powered machines due to the use of DC instead of AC. This is because specific technical features that enhance operating convenience can only be realised in DC operation. This includes, for example, traction, brush after-running times, electric water flow adjustment, dosing systems and displays. 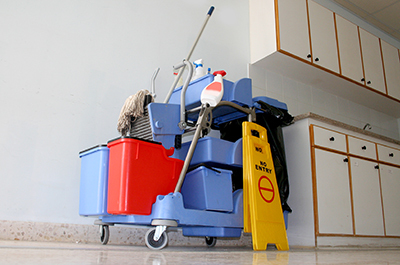 In building cleaning, personnel costs account for about 85 per cent of the total costs. If cleaning takes place quickly, maintaining the same standard of quality, the working efficiency can be considerably increased. Scrubber driers with lead batteries currently available on the market have made progress in this respect compared to mainspowered machines. Lithium-ion technology raises overall efficiency to a completely new level: it reduces maintenance costs as the batteries have a longer service life and are maintenance-free. Scrubber driers using this technology also allow faster and easier cleaning as they combine the benefits of high manoeuvrability, long battery run times and new technical features. Thanks to the intuitive operation, a frequent change of cleaning operatives is no longer a problem. 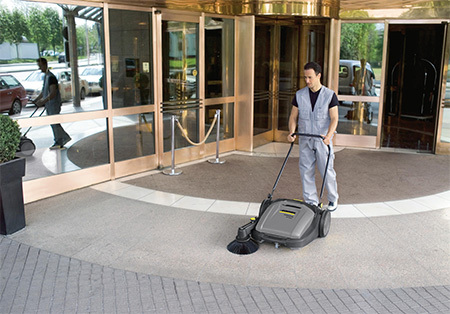 Are you thinking of purchasing a new scrubber drier? If most of the questions listed below are answered with “yes”, the purchase of a battery-powered model with lithium-ion technology may be worthwhile. – Do you want to replace a lead-battery machine or extend your range of machines? – Is your machine used frequently? – Are short charging times of importance to you? – Are the rooms to be cleaned small, possibly with stairs and very cluttered areas? – Are there insufficient power sockets for connecting the machines? – Does the weight of the machine play an important role? – Is the machine used in noisesensitive environments?